Take oil in a pan add the jeera, curry leaves, onions, ginger and garlic and sauté till the raw smell is totally gone. Add tomatoes, salt, turmeric powder, chili powder and sauté for some more time till the tomatoes are totally cooked and mashed up (If it sticks on the pan, add a little water). Finally add the garam masala. 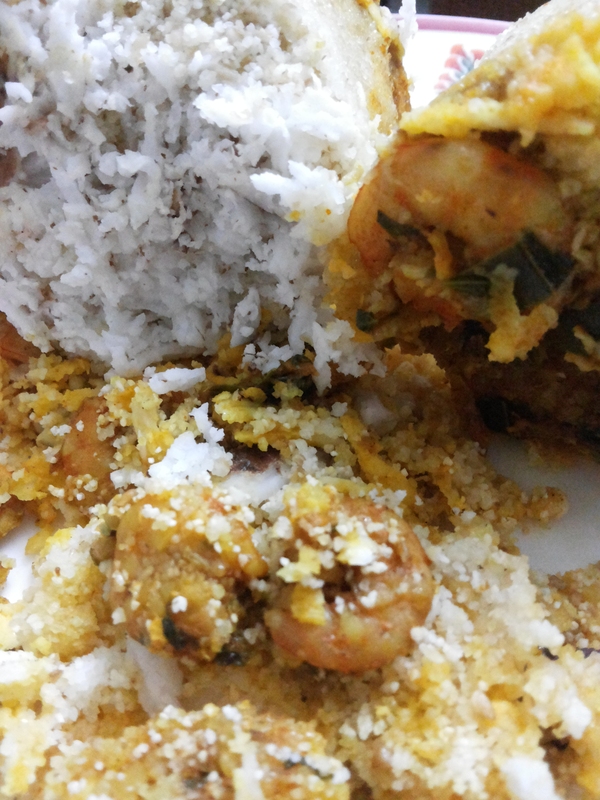 When all the masala has blended well, add the prawn and cook for little while (prawn when over cooked can get hard and rubbery). Take the roasted rava in a bowl add some grated coconut and mix well, sprinkling salt water little by little and mixing it simultaneously. Keep repeating this till Rava gets properly moistened/Wet. 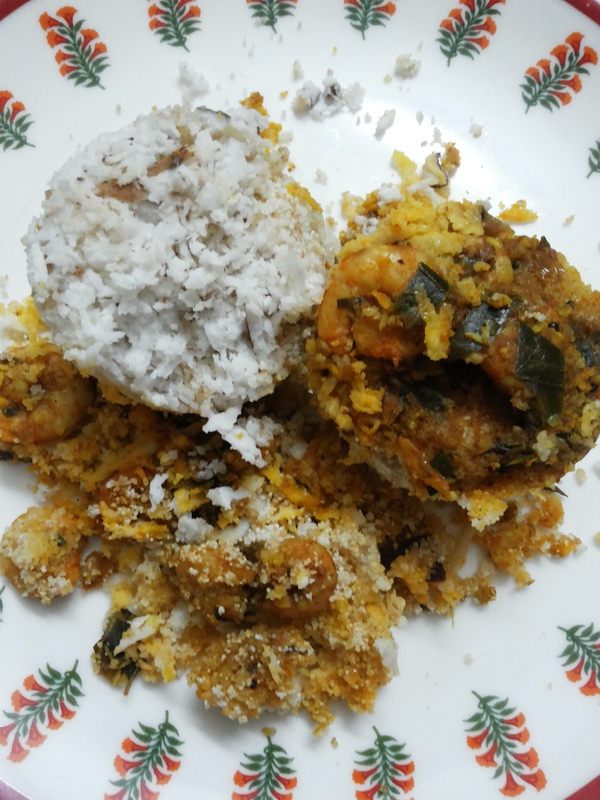 Fill the Puttu mould with 1 tbsp of fresh grated coconut then 4-5 tbsp of wet rava, take a tbsp of prawn masala and layer on the rava, then again 1tbsp of coconut. Repeat till the mould is filled. The mould should not be tightly packed. Everything should be filled loosely, don’t press the content into the mould after filling. Keep it on the pressure cooker or puttu vessel and let it steam for 5mins.